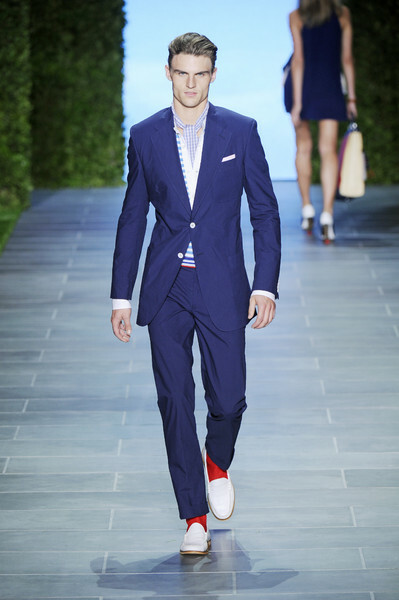 On Sunday evening Tommy Hilfiger celebrated the 25th anniversay of his fashion house. 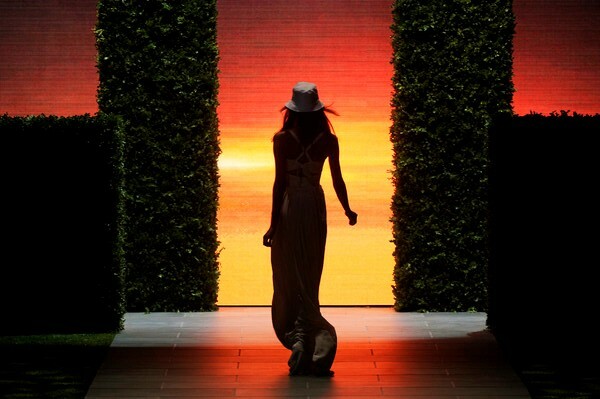 First there was the fashion show and afterwards there was a big party at the Metropolitan Opera. 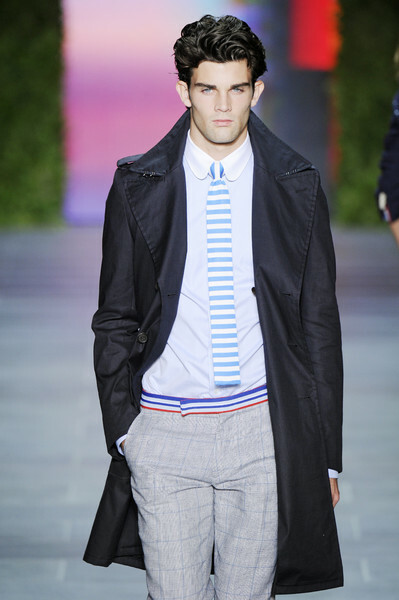 The new spring/summer collection was very American and very Tommy Hilfiger. 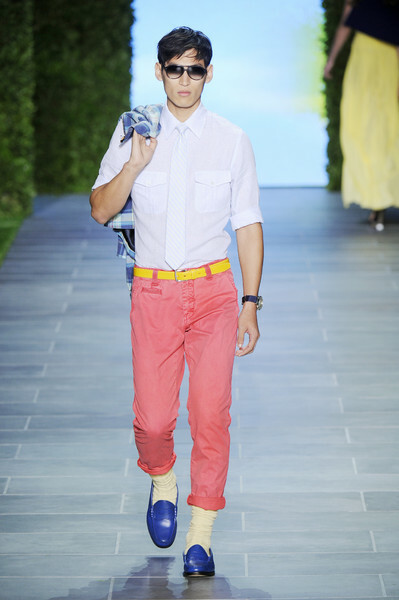 The models all worked the preppy TH-look in bright-colored blue, red, white and yellow. 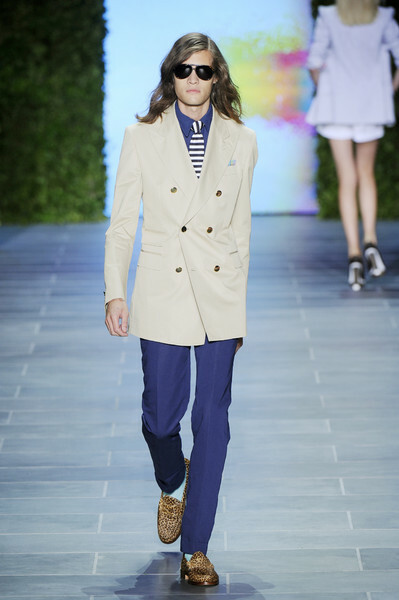 Boys and girls walked the runway in neat, safe outfits, which stayed very true to the Hilfiger brand. The ladies wore shirt dresses, Bermuda shorts, checked pants, tennis sweaters, short jackets and cable knit waistcoats. All completed by TH hats, bags, waist-belts shoes and sunglasses. The fellows promoted double breasted jackets, eye-catching ties, colorful socks and loafers. 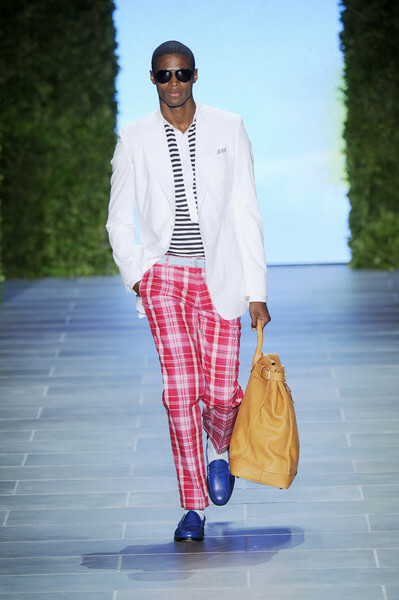 They wore checked pants too, which were actually the most outspoken pieces of the show. The show was ended by several sophisticated looks; a navy gown with cut-outs around the waists and a white tuxedo with black details. The perfect looks for heading straight to Hilfiger’s afterparty at which 25 years of an all American brand were celebrated till midnight.